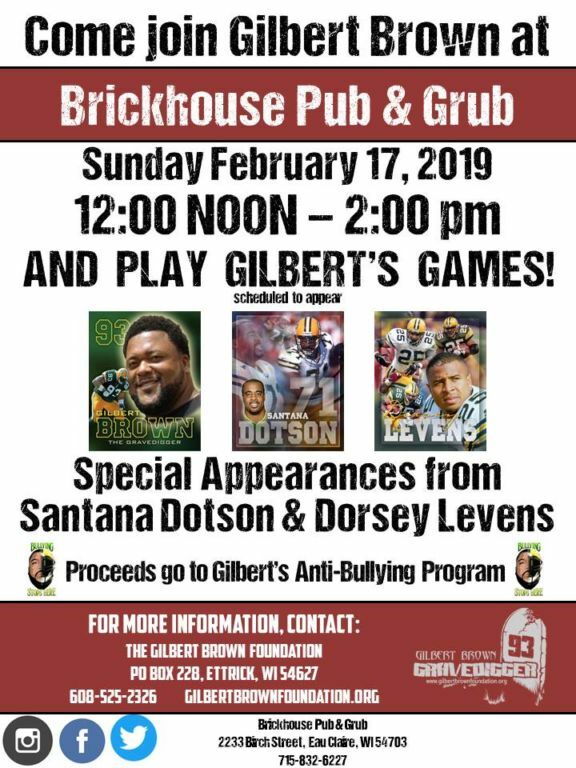 Come meet Green Bay Packer Legends Gilbert Brown, Santana Dotson, and Dorsey Levens at The Brickhouse Pub & Grub on February 17, 2019, 12:00 NOON – 2:00 PM and help raise money for Anti-Bullying Awareness. Lunch is available $5 a meal. 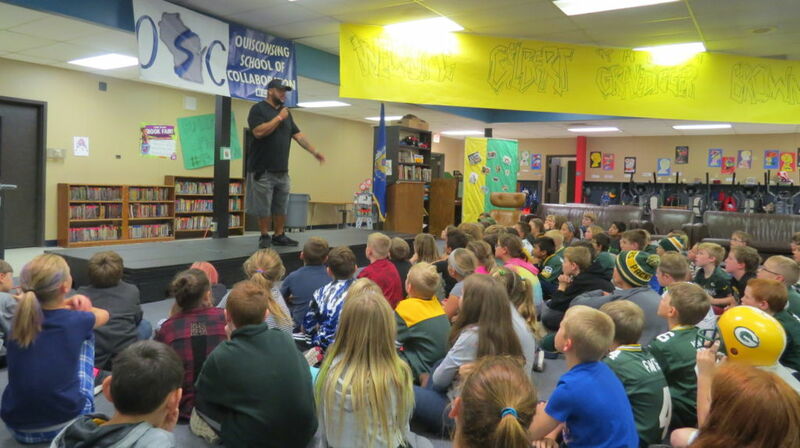 Tickets available for purchase the day of or online HERE. Please come help support this great cause!